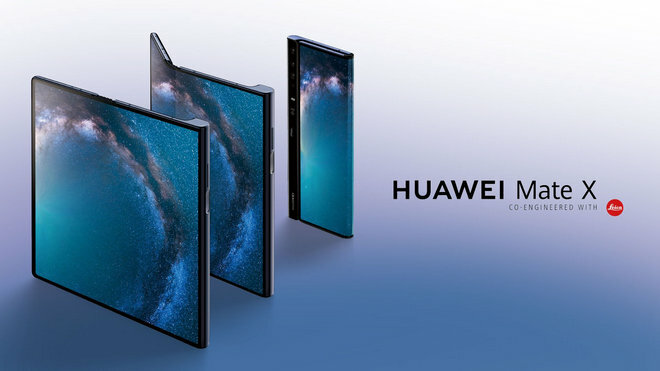 The Huawei Mate X isn't the first foldable phone to launch, but it might be the first you seriously consider paying gobs of money for in 2019. This beautiful foldable phone uses one 8-inch flexible OLED panel to give the user three screens. When it’s folded, you have one 6.6-inch, notch-free main display combined with an elongated 6.4-inch rear display. Once you open the device up, you’ll get a wonderful tablet with a full 8-inch screen. Plus, 5G speeds are a big talking point for Huawei. The Mate X is powered by the company's in-house Kirin 980 processor and Balong 5000 5G modem chip, capable of taking as little as three seconds to download a 1GB movie. Adding to the impressive display and 5G speed, the dual battery and fast charging is one of the many reasons why it makes people crazy. With the world’s fastest 55 W HUAWEI SuperCharge, you can charge the phone up to 85% in 30 minutes. The Mate X is definitely the best and most appealing foldable device in 2019. But it is not without shortcomings. There are still some little downsides that prevent some iPhone users switch to it. Among them, the most annoying one for some iTunes movie enthusiasts is that they can’t enjoy iTunes M4V videos on Android devices, including the Mate X. Why? Because iTunes M4V video are protected, you are confined to enjoy them on Apple devices only. In this case, if you want to play iTunes video on Huawei Mate X, the best way is to convert the video to common format like MP4 with a powerful iTunes M4V video converter. 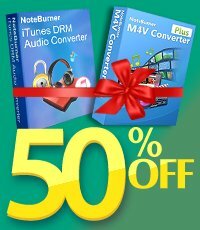 Here you are recommended to use NoteBurner M4V Converter Plus. It is a professional video converting tool for iTunes rental & purchased movies and TV show, supporting to convert iTunes M4V videos to popular formats, including MP4, MOV, AVI and more, while at the same time keeping AC3 Dolby 5.1 surround audio and subtitles. With the smart tool, you can easily get iTunes video in MP4 format and enjoy on Mate X.
NoteBurner M4V Converter Plus supports both Windows and Mac OS. Here we will just take Windows version as an example to show you how to transfer iTunes video to Huawei Mate X. Launch NoteBurner M4V Converter Plus, click button "Add Movies" on the upper left or in the middle of the interface. A pop-up window will show you all the videos in iTunes. Tick the video you want to convert and then press button "OK". When Step 1 is done, you can see all videos you chose listed on the main panel. Click the "Format" button in the bottom left corner, and then a pop-up window will appear for you to select output formats (MP4, MOV, AVI, etc) and output path. When the conversion is done, all the converted videos can be found by clicking the button "Converted Movies" on the upper right. Besides, you can directly go to the folder you designated in Step 2 to find them. Now you can easily transfer the converted iTunes movies to Huawei Mate X through USB cable for playing.